Quite simply, this is the worst American Idol thus far. I had expected so much, since this format had saved one of the best competitors ever, Clay Aiken, when they used it in Season 2. I have been let down, and not just by the judges, whose weird bias toward each contestant really had nothing to do with singing at all. I have been let down by the American people, who, more than any season ever before, have voted for inspirational stories over actual singing skills. This is not a choose-you-own-adventure TV drama. These are the people who will be selling CDs in your local Best Buy. No one ever buys music because the person was a stay-at-home mom or had a rough childhood. My top three women of the entire competition – we’re talking I may have wanted them all in the final six – did not even make the Wild Card round. That means they didn’t make the Top 17 (Nine are already in the Top 12, plus eight made it to the Wild Card round). In other words, cutting the Top 36 in half, my top three, Mishavonna Henson, Felicia Barton, and Kristen McNamara, were dropped. On the semi-bright side, most of my top picks after them are still in it or being considered: Allison Iraheta, Lil Rounds, Megan Corkrey, Jesse Langseth, and Tatiana Del Toro (No one actually hates her for her voice). This season has already been dubbed a men’s season, but it was a self-fulfilling prophesy with no basis in actual talent. Vote out great female singers in favor of mediocre male singers like Michael Sarver and Scott McIntyre and you have a mediocre male-dominated season. Congratulations. :::EDIT::: Six of the now Top Thirteen were in my dream Top Twelve. That’s less than 50%. Fantabulous. :::EDIT::: Matt Giraud, Ricky Braddy, Jasmine Murray, and Tatiana Del Toro annihilated the other four in the wild card round. Apparently, this performance had absolutely no bearing on the selection of the four moving on. I suppose the problem was that they couldn’t pick three more guys (having already picked six), so they left the arguably superior Ricky Braddy out in the cold, in favor of the Coldplay-destroying Matt and producer-favorite Anoop. Of course, they wouldn’t have run into this problem if Michael Sarver hadn’t been voted through for no apparent reason, so the blame still lies with voters, not the judges. Fantabulous squared. Anyone who watches American Idol regularly – I watch it irregularly, but in this case, that’s enough – knows that the Australian Michael Johns was voted off this week, to the shock and disappointment of many viewers. Even those who didn’t like him can’t act unsurprised. Simon Cowell had placed him in the likely top three with the only other two that hadn’t yet been in the bottom three: the Davids Cook and Archuleta. People can talk conspiracy all they want, but clearly someone dropped the ball with this one. No indicator exists that predicted for him to go home. His songs, including the rendition of “Dream On” that subsequently sent him home were (and still are) selling well on iTunes. More than likely, he just suffered from second-place-ism. In a season where there are three singers that lean toward rock (Michael, David Cook, and Carly), people couldn’t decide which to support. As a result, David Cook received nearly all of the votes for his renditions of songs like Billie Jean and Eleanor Rigby. Though Michael Johns probably places second or third on millions of people’s lists, second and third doesn’t keep them on the show. People have cried out for a correction of this flaw since the very first season when Tamyra Gray was booted before Nikki McKibbin. 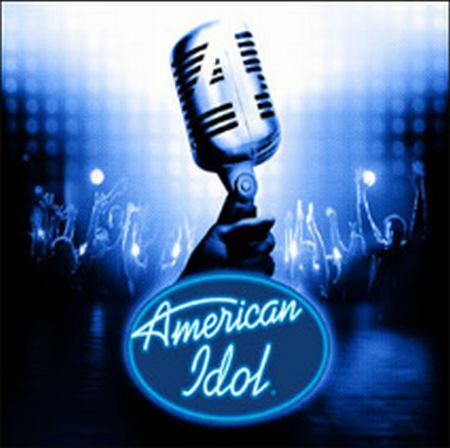 Clearly, they are mocking Idol, whose host Ryan Seacrest all but said, “Michael Johns, you are going home. Just kidding, no one is going home. Haha, gotcha, you really are going home.” The show that had every reason in the world to keep someone around didn’t. The show that had absolutely no reason to keep someone around did. What is wrong with the people who run these shows? Everyone who uses the internet is familiar with the famous “403 Forbidden” displayed across various unavailable web pages. The message above has been added to the long list by Google in an effort to reduce site traffic. Obviously, any computer that appears to have a virus that attempts to use the search engine, a red flag goes up and the site blocks the computer. However, this all brings up one very big question: When did viruses learn to read? And furthermore, how does the virus react to the horrible discovery that its only purpose has been thwarted? Someone obviously created the virus in the first place to fulfill a specific task on the internet, so now, upon reading this message, how can they carry on like normal individuals. Personally, I would be hopping mad if I was a virus and came across this page. Plus, the message instructs the virus to try either destroying itself or deleting Google cookies. I think the first option is out of the question, and the second is just another task that the poor viruses are probably not capable of handling. I mean, unless the virus was specifically programmed to do so, deleting cookies is probably about as hard as trying to eat one. Maybe they have viruses that read now, but I think Google is still overestimating their problem-solving skills by a few decades. Being such a huge source of money, it seems ridiculous that Google would make such a blunder by targeting unknowing viruses. Unless, of course, Google’s intention was to direct this message at users and not the viruses, but no… that wouldn’t make sense. I would like to think that the quality of my searches is at least a little above a virus’s, and Google would be foolish to incense it’s users with millions of 403 forbidden pages. On a last note, I like the ending message, “Hope we’ll see you again on Google.” It has a very smiley-McDonald’s-cashier tone to it, and could potentially prevent some viruses from committing suicide after finding out their lives are worthless. After all, they are the victims here.